Our team has been designing, maintaining and promoting websites for local Dental and Medical practices here in California and Florida. We are trusted by these healthcare practices as a highly affordable one-stop shop to help get their practices online without compromising quality and service. Our experienced team can put together a package tailored specifically to the needs and budget of your practice. 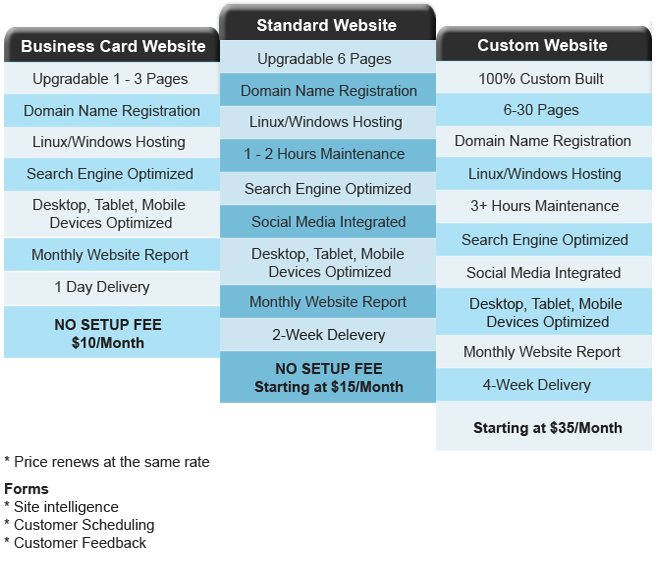 The cost of a standard or customized website depends largely on the number of pages, technical depth and customization required. Over 70% of the U.S. residence online used the Internet to access health content and manage their personal wellbeing.